I just completed another big build here on our little homestead and couldn't be happier with it. 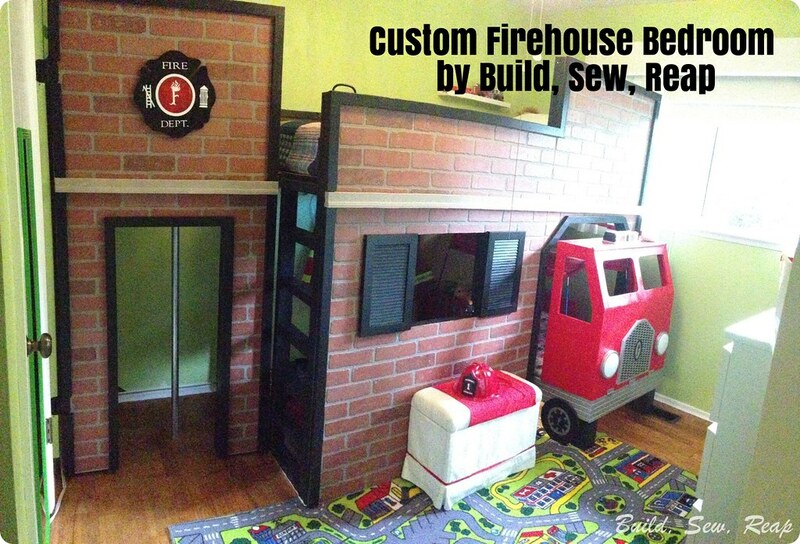 About 6 months ago, I realized that my favorite little firefighter was likely going to grow out of his custom toddler sized fire truck sometime in the next year and I sure didn't want to have to do the build in our cold rainy winter so I knew it would have to be done this summer. This summer has been a very busy one though so I just sat on the plans looking for my opportunity to pounce on the project. Last week I got my hands on a coupon to apply to my total purchase at my favorite local home improvement store so I finalized my blueprints and headed off to pick up the materials. They then sat on the front porch for a couple of days while I dreamed of busting out the tools. And then I saw my big opening - two different friends offered to take the kiddos out for some fun to give me some time to myself so I had 1.5 days without kids and boy did I make the best of them. And now a section-by-section tour with better pictures (the only way to take panoramic pics is with my phone, boo). First of all, the ladder is accessible from outside the firehouse. This gives him more room to play inside. The door wall had to be set back from the main firehouse front due to the bedroom closet placement. 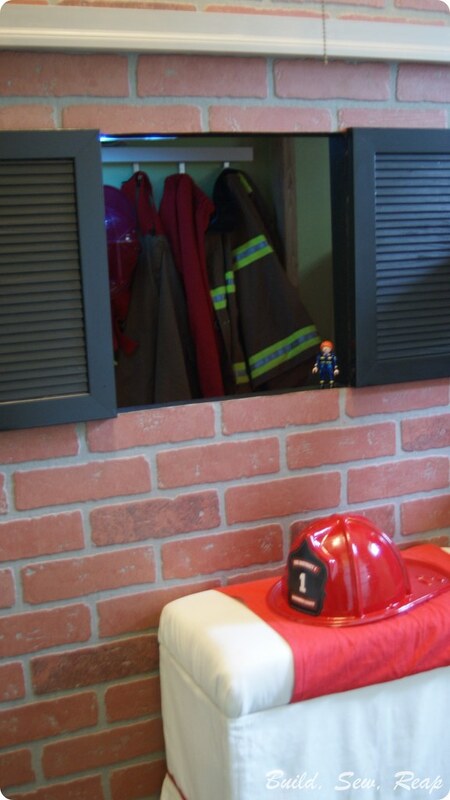 If you peek in the window, you'll see all his firefighter costumes illuminated by the light big brother and I made for him before he was even born. 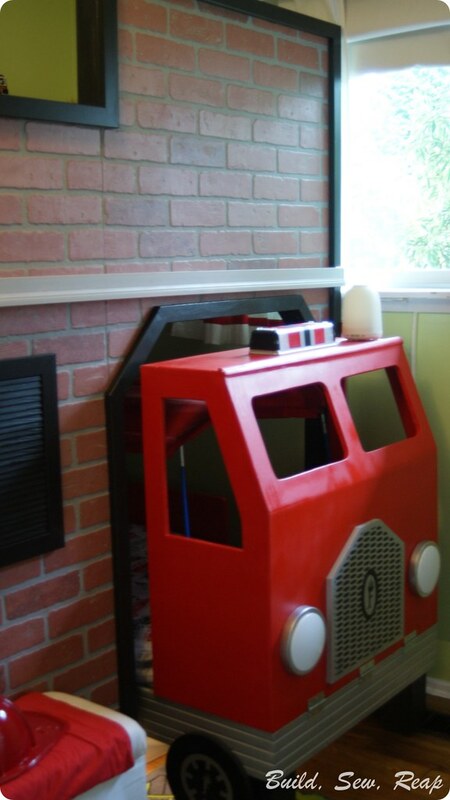 His toddler bed sized firetruck fits perfectly in the garage, always ready to go out on a call. 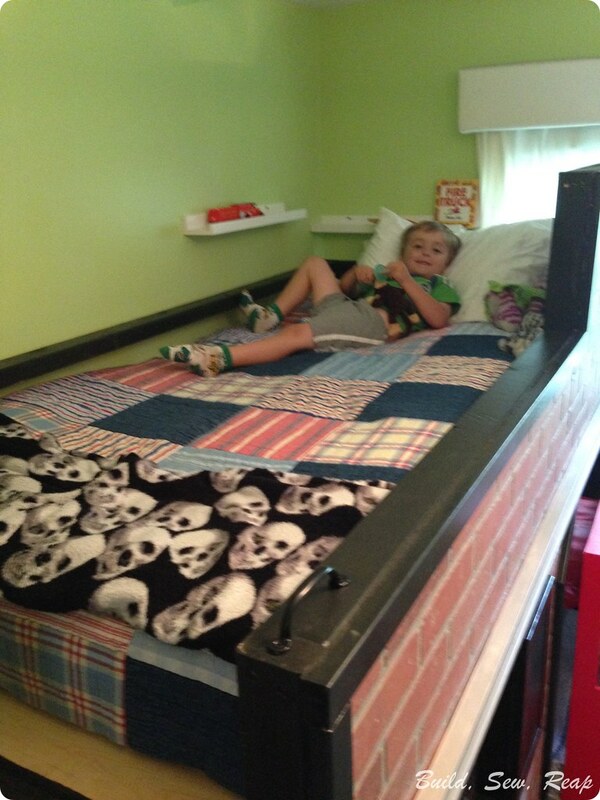 The little guy was all too happy to abandon the fire truck bed so he could start sleeping up top. I found this gorgeous quilt at a local thrift shop. I love the Americana color theme. 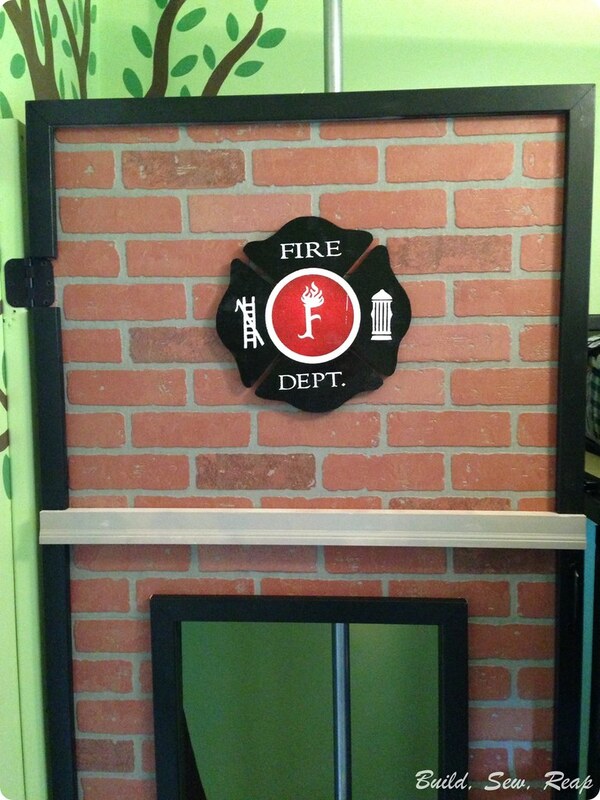 His station emblem features the flaming F logo I created for his toddler bed. 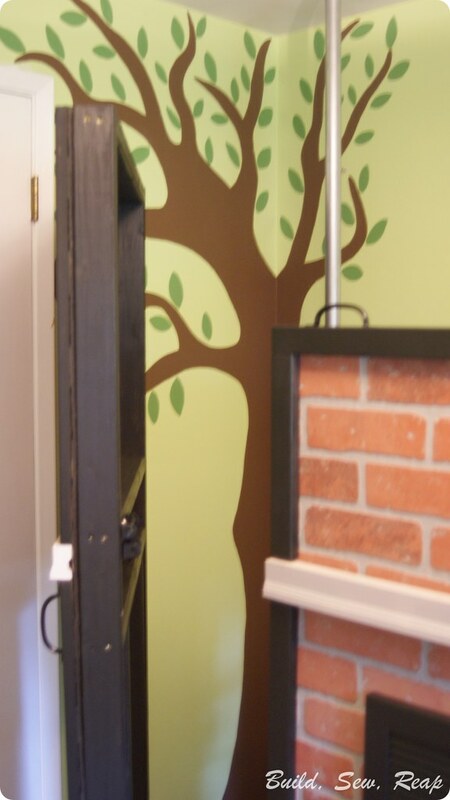 The door wall is hinged so that adults can get into the firehouse without having to go through the little door. It also gives us a way to help kiddos down the fire pole. Yes, the fire pole! 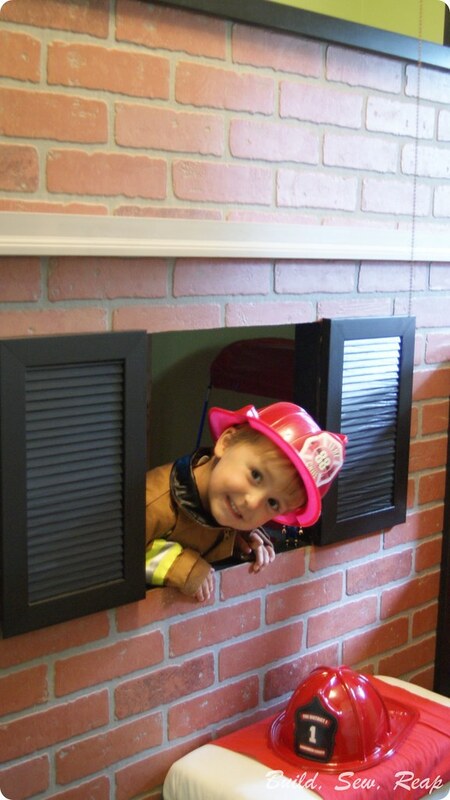 I'd say my little firefighter is pretty happy with his new digs. The most popular places in the UK to buy bedroom furniture are probably Argos and Ikea or in catalogues. This blog gives the light in which we can observe the reality of how to save home and lounges of leather to fire. This is very nice one and gives in depth information. 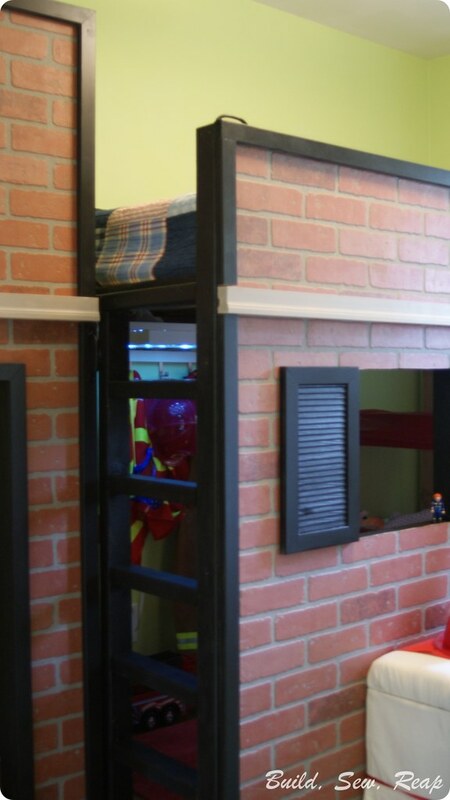 Thanks for sharing this knowledgeable post about firehouse bedroom, learn lot of information. If you want to get more detailed then Gordon Rutty can help you.